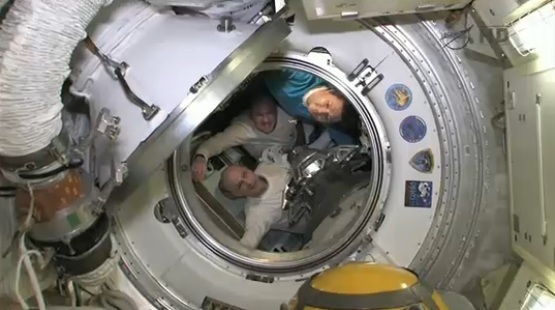 Expedition 31 crewmembers André Kuipers, Don Pettit and Oleg Kononenko have said their farewells to the rest of the International Space Station crew and entered their Soyuz spacecraft ahead of their return to Earth. The hatches between the ISS and the Soyuz TMA-03M spacecraft were closed at 03:32 CEST (01:32 UT). They will now perform leak checks of their spacecraft and are scheduled to undock from the ISS at around 06:48 CEST (04:48 UT).